JERSEY CITY, N.J.--(BUSINESS WIRE)--Apprentice.io, creator of the first conversational augmented reality (AR) and artificial intelligence (AI) platform, announced today an $8M Series A funding round led by Pritzker Group Venture Capital with participation from existing investors, Silverton Partners and Hemi Ventures. The Venture Reality Fund — leading early-stage investor focused on immersive and intelligent computing — and GFR Fund also joined as new investors. The New Jersey-based startup has tripled in size and customer reach, adding numerous top Fortune 100 clients across the U.S., Asia, South America and Europe. The New Jersey Tech Council recently selected Apprentice.io as the recipient of the 2018 Outstanding Technology Award for its innovation and leadership within life science industries. 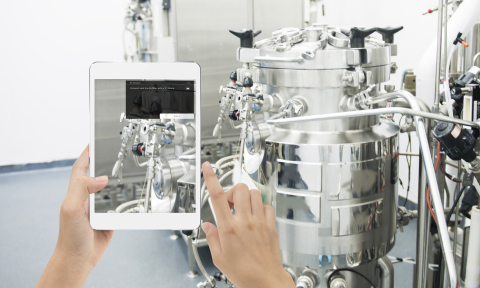 Apprentice.io is the leading enterprise augmented reality (AR) provider for all lab, line and suite environments, with extensive specialization in pharma and biotech industries. The company developed and globally deployed the first conversational, industry-compliant augmented reality (AR) and artificial intelligence (AI) platform. Apprentice is the premier solution for batch records, tech transfer and R&D workflows as well as training procedures, troubleshooting and support. Mobile ARCore/ARKit 2 solutions, fully immersive AR devices and monocular smart glasses are leveraged to provide live AR content, real-time feedback for performance correction, and intelligent data-capture to improve complex workplace processes. Apprentice’s mission is to develop a world in which our solutions are used to empower scientists, engineers and manufacturers who operate in various complex, compliance-driven environments, ushering in the next wave of human potential. 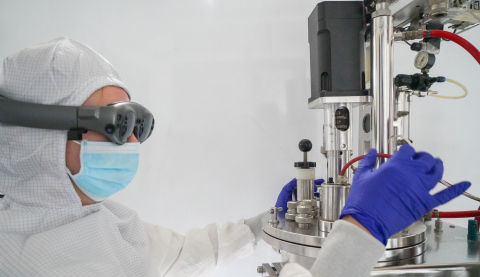 Apprentice is headquartered in New Jersey, with global product deployments at Fortune 100 pharma, biotech, cosmetic, consumer goods and chemical companies across the U.S., Asia, Europe and South America. For more information, visit apprentice.io. Pritzker Group Venture Capital (PGVC) helps entrepreneurs build market-leading technology companies at every stage of their growth. Since its founding in 1996, the firm has worked side-by-side with entrepreneurs at more than 150 companies, building partnerships based on trust and integrity. The firm’s proprietary capital structure allows for tremendous flexibility, and its experienced team of investment professionals and entrepreneur advisers offers companies a vast network of strategic relationships and guidance. PGVC invests predominantly in Series A and Series B companies with particular focus on consumer, digital health, enterprise and emerging technologies. For more information, visit pritzkergroup.com/venture-capital. The Venture Reality Fund (“The VR Fund”, “VRF”) is a Silicon Valley and Los Angeles-based venture capital firm focused on early-stage investments in immersive, spatial and intelligent computing for consumers and enterprise. The firm invests globally in innovative companies across a wide variety of sectors, from infrastructure to content and applications, to help entrepreneurs bring industry-defining technology and solutions to market. For more information, visit thevrfund.com.